In conjunction with the Qatar Museums Authority, excavations have begun at the Qubib Mosque in the heart of historic Doha. This is the first extensive urban excavation in Qatar. 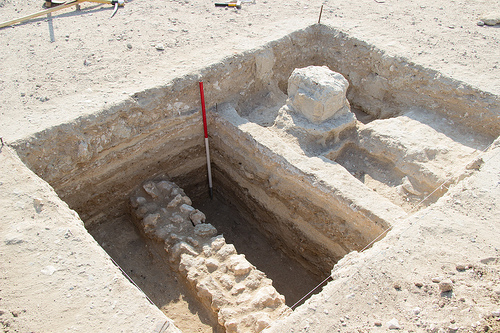 These excavations aim to uncover early, undocumented structures in Doha to help archaeologists understand the development of the city and the lives of early men, women, and children who lived in these structures. 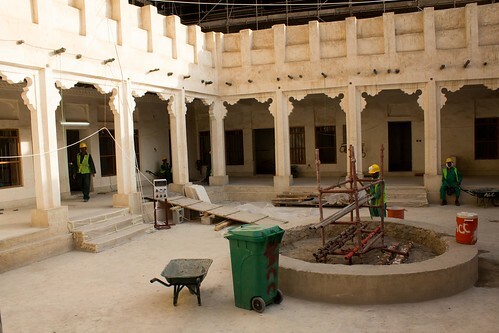 The first excavations in Doha were undertaken by the Origins of Doha team at the Radwani House, a historic structure in Msheireb. A sequence of occupation deposits associated with large domestic building, and an earlier mud rendered building were recorded. Evidence of early occupation in the city was identified below these buildings. The rapid development of Doha adds urgency to this work, as much of the buried heritage relating to the original occupation of Doha is highly threatened. Today i seen report in the newspaper about the origin of Doha Project. I would like to know that why Doha become so important even Al Huwayllah was the capital of Qatar peninsula in the 16th century. The oldest record regarding Qatar, referred Muhammad Bin Sultan Beni Musallam as the chief of the Qatar Arabs, with his headquarters at Al Huwayllah in 1555 AD (Ref. Zekeriya Kursun, The Ottoman in Qatar: Istanbul, 2002, P. 33). what was the reason that Al Huwayallah lost its prominence and Bida emerged as a capital ?.